From the rear side cover, the author writes: While serving on No. 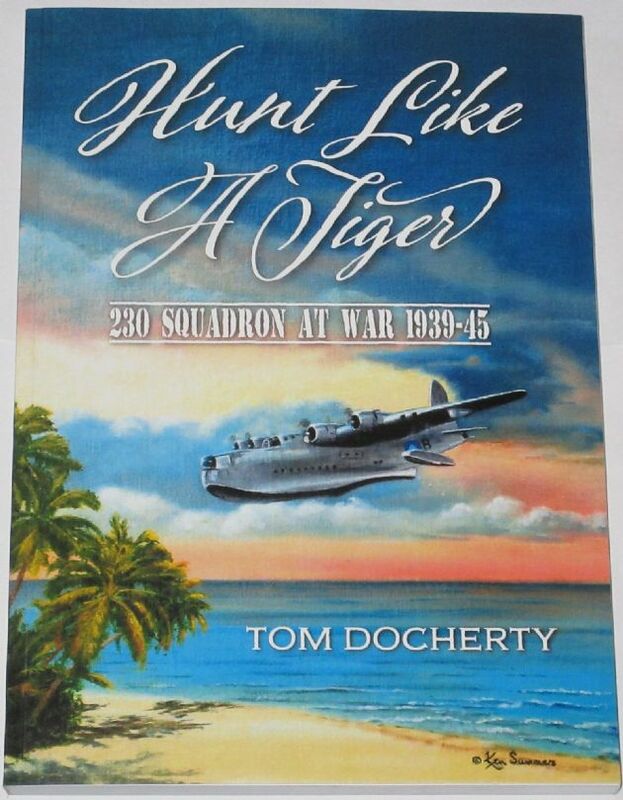 230 Squadron in the 1990s, it occurred to me that the history of the former flying boat squadrons of the Royal Air Force was very poorly recorded and that those serving beyond the areas of Coastal Command and the Battle of the Atlantic were particularly badly served. Accordingly, I decided to record the history of No 230 Squadron during the Second World War and in the course of my research discovered that it was a military unit with an incredible pedigree. The squadron started the war in the Far East in Singapore but in the course of its wartime service its aircraft and personnel saw acrion in North Africa, the Mediterranean, the Aegean and Greece, Crete, East Africa, Ceylon, Madagascar and Burma, before completing the circle and returning to Seletar in Singapore. The crews of the Squadron engaged in dogfights with Italian and German fighters, made the sightings which resulted in the Battle of Cape Matapan, sank Italian submarines in the Med, worked behind Japanese lines with tine Chindits, and attacked Japanese shipping along the coast of Burma, all using Sunderland Fighting Boats! All this and more is covered in detail, and is accompanied by first hand accounts from WW2 veterans and many historical photographs of the squadron and its aircraft, making this book a must have for anyone interested in the history of the Short Sunderland Flying Boat, and in particular the role and history of 230 Squadron during the Second World War.